Felicitas Global Pte Ltd organized another successful wine roadshow; "Gambero Rosso Top Italian Wines Roadshow" in Singapore and Vietnam. 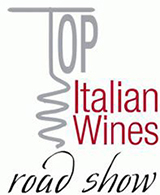 GamberoRosso (www.gamberorosso.it) is a premier wine and F&B classification organization in Italy and has been a reference point for the highest quality food and wine in Italy and abroad. At its 51st edition, the International Trade Fair for Stone, Design and Technologies was held from 28th September to 1st October 2016. Marmomacc is an International fair for operators in the marble sector, from machinery to instrumental products, from blocks to more complex stone processing, for professionals in construction and contract sectors as well as designers and decision makers seeking success in an increasingly specialized and competitive context. On it’s 50th year, Veronafiere, Italy (www.veronafiere.it) with its Southeast Asia representative, Felicitas Global Pte Ltd, organized a trade delegation visit from Southeast Asia to Vinitaly 2016. The exhibition was held in Verona, Italy on 10 – 13 April 2016 (Sun-Wed). The Southeast Asia delegation comprised of 15 buyers from Singapore, Malaysia, Thailand, Vietnam, Laos and a journalist from Singapore. Some of the buyers were also selected to participate in Operawine held on 9 April at the city center. The Chianti Consortium was born of the innovative and entrepreneurial spirit of Florence's winegrowers in 1927, in order to defend domestic trade and exports of "typical Chianti" wine. The Consortium protects over three thousand six hundred producers, working more than 15,500 hectares of vineyard, producing in excess of 800,000 hectoliters of Chianti wine of various zones and typologies and has been attributed the "ERGA OMNES" recognition for its representative status. Chianti DOCG wine is produced in the provinces of Arezzo, Florence Pisa, Pistoia, Prato and Siena. The Marmomacc exhibition is the leading international event in the stone and design sector and the essential appointment for all producers, designers and decision makers seeking success in an increasingly specialist. The 50th year showcased the best production traditions and innovation on a national and international scale, international projects, with many initiatives promoting the special features and wealth of marble and the expressive potential of stone materials in architecture and design. Abitare il Tempo has been the most exclusive trade fair for interior design, an event which reaches across the entire product range at the highest level, where traditional and avant-garde, classical and contemporary exist side by side in perfect harmony. We are delighted to inform you that this year’s edition of ABITARE IL TEMPO (www.abitareiltempo.com) will be held on 30 September - 03 October 2015 in Verona, Italy alongside with Marmomacc: International Fair on Stone, Design and Technology, (www.marmomacc.com/en/ ). In the 49th edition of Vinitaly, which was held from 22-25 March 2015 in Verona, Italy, Felicitas Global took a delegation of 24 companies from South East Asia (Singapore, Philippines, Vietnam, Myanmar, Malaysia, Indonesia) and including Hong Kong. The delegates participated in Vinitaly Taste & Buy programme, Veneto and other guided tastings and seminars. In this year’s edition of SOL & Agrifood, Felicitas Global took a delegation of five (5) companies from Southeast Asia (Singapore, Malaysia and Philippines). The delegates participated in different tasting sessions and B2B programme. Gelato with a Heart Dinner: A first ever event was held in Marina Bay Sands on the 12th of March 2015 featuring Gelato from appetizer to dinner. The menu featured combinations of hot and cold, sweet and savory unique fusions of Eastern and Western Gelato prepared by well-known chefs of Singapore & Gelato World Tour. The 3rd edition of The Café Asia / ICT 2015 cafeasia and the 2nd edition of Sweets & Bakes Asia 2015, sweets&bakes asia will be held from 19 -21 March 2015, at Marina Bay Sands, Singapore. Brunello di Montalcino is one of Italy's most famous and prestigious wines from the Tuscany region. Brunello di Montalcino wine is made exclusively from Sangiovese grapes grown on the slopes around Montalcino. At its 49th edition, the International Trade Fair for Stone, Design and Technologies was held on Wednesday 24 to Saturday 27 September 2014. It once again ranks as leading event in sustaining the marble system on the world market, in order to promote development of products and technologies and become an increasingly qualified cultural workshop for world-wide trends in stone construction and design. Our company, Felicitas Global Pte Ltd, Singapore - has been appointed by Momentum as the sales representative for the QITCOM exhibition, covering the ASEAN region.